SHe Files is a unique software product and the first of its kind in South Africa. It is the brain child of business owner and contractor, Bruce McFadzean. The idea came to him after attending a laborious Health and Safety workshop of a potentially big and lucrative client. There were so many new Health and Safety processes and regulations put forward by the speaker, that Bruce was waiting for him to announce that he was joking. But that announcement never came. Instead, the list of regulations continued on and on. It was overwhelming and almost too much to handle. It was at that moment that Bruce realized that there had to be a better way. He knew that he wasn’t the only contractor in the room that wanted to run away from a potentially big contract simply because of all the red-tape and processes. And so the idea of automating all the Health and Safety regulations, which is what SHe Files now does, was born. On a mission to make his life and the lives of countless other contractors easier, Bruce started contacting software development companies to assist him in bringing his vision for this innovative software product to life. Fast forward two years and SHe Files is now a reality. 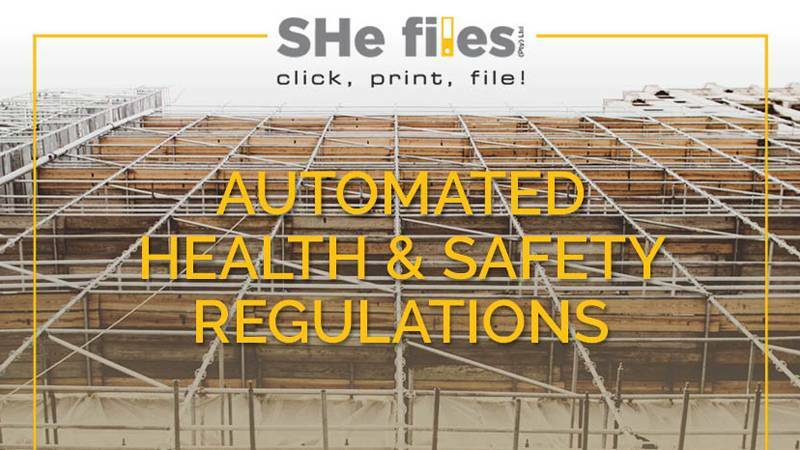 SHe Files is powered by a wizard that takes contractors through an easy process, saving them time, money and removing the frustration of manually trying to get their Health and Safety files in order, according to the law. Synapsis Software collaborated with IT Design who, after completion of the software design, set up the website that now represents the SHe Files brand. If you would like to find out more about SHe Files, please go to the website at www.shefiles.co.za. If you, like Bruce, have a vision of a software solution to assist your venture please feel free to get in touch us here and we will chart a roadmap for you for taking your idea from vision right through to implementation. Bay leads with smart grave finder A brief history of apps Technology – Then and Now | Synapsis Software Synapsis Software Monthly Newsletter, January 2017 Synapsis Software Monthly Newsletter, December 2016 Synapsis Software can make digital marketing work for YOU! Synapsis Software Monthly Newsletter, November 2016 Synapsis Software Monthly Newsletter, October 2016 Synapsis Software Monthly Newsletter, September 2016 10 Reasons why Facebook is good for business!